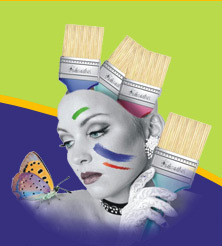 Padmashri™ paint brushes are made from high quality DuPont® nylon filaments. Nylon tapered filaments have 5 to 9 times greater resistance to abrasion than hog bristle and paint brushes made from these filaments will have a much longer life in all painting applications. 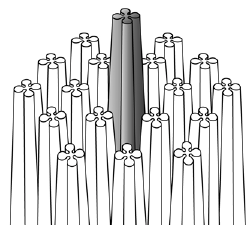 These paint brush filaments have smooth surface and are hollow and tapered and have unique trilocular hollow cross-section. They are continuosly tapered and are 40% lighter than solid filaments. They have improved stiffness and good bend recovery. 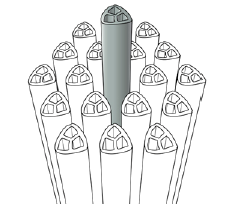 These paint brush filaments have Quadrilobal cross section and are hollow and continuosly tapered. They are 20% lighter than solid filaments. They have adequate stiffness and flexibility.